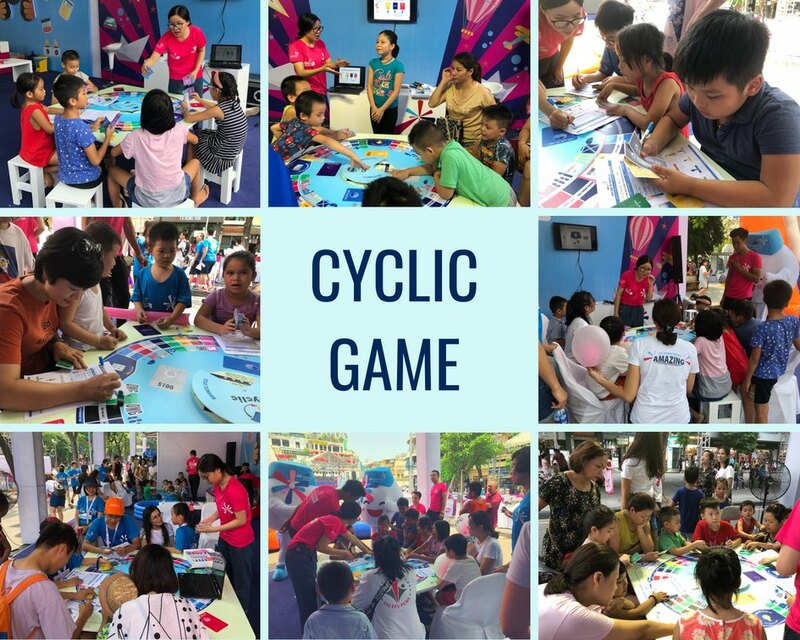 At the “Grow-Up Experience” Event of MB Ageas Life Insurance Company, held at Hoan Kiem Lake – Ha Noi on 12th August 2018, Cyclic Viet Nam ran a special version of the Cyclic Game for children – Future Investors. This enabled players to experience diversified investment activities and to help them understand clearly about the source of wealth, the demands people have on their money, and how to allocate cash flow into various investment sectors. All this in an exciting and attractive environment that was full of fun for the players. The event attracted a large number of young families in Hanoi. 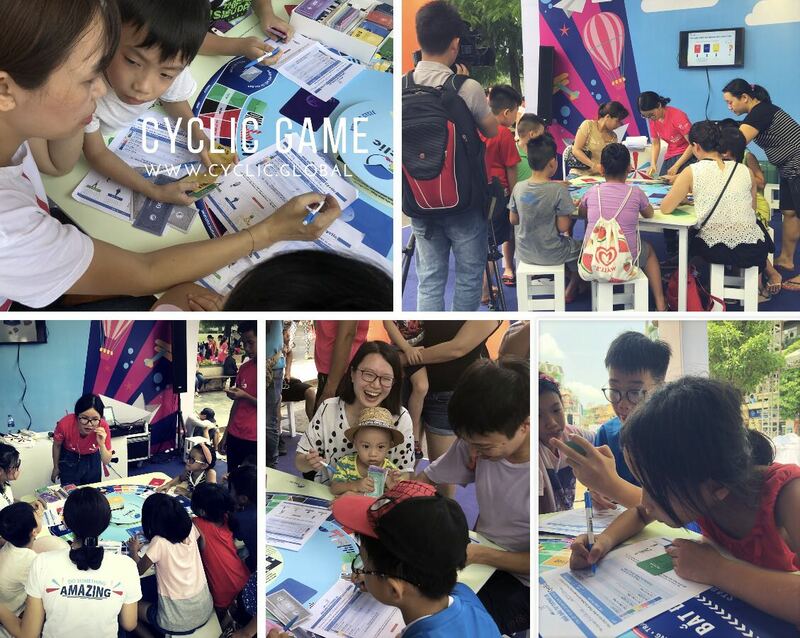 Beside participating in the semi-professional MB Ageas Life Family Ekiden race, parents and their children could also participate in a variety of useful and interesting activities at many booths at the event: Future Scientists, Future Investors, Kites Of Dreams…. 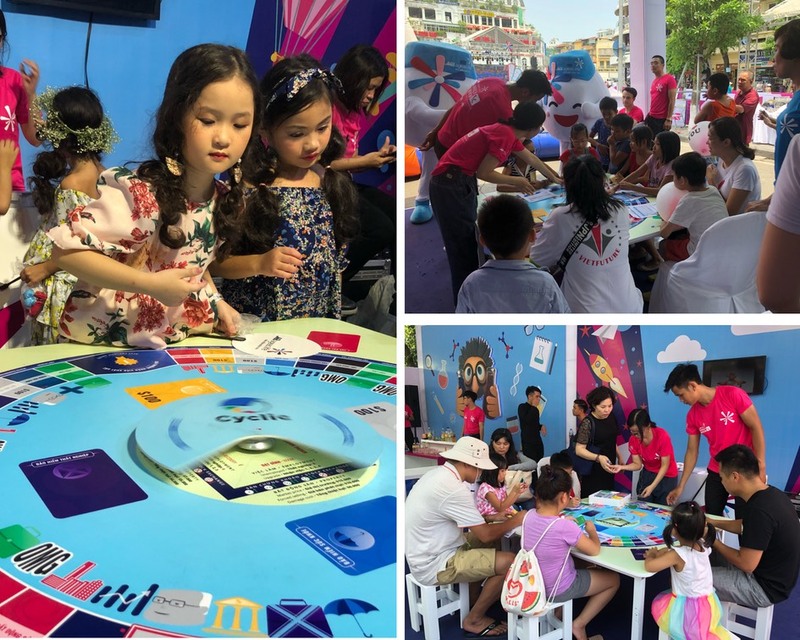 In addition to useful lessons on how to use and allocate money to different investment sectors so as to increase one’s asset base, the game also helps children to visualize the ways to earn money in real life. They realize that the pursuit of passion and realizing one’s full potential maximises the chance of generating cash flow for their future financial plans. The young people who took part confidently and outwardly showed their talents, making the atmosphere at the event full of life. Let’s watch the video below to see the views of Future Investors after experiencing the CYCLIC world.